Thought beanbags were just for students and hippies? Then check out this inspirational creation. European designed by Antoinette Bader, those soggy old sacks just got sophisticated. 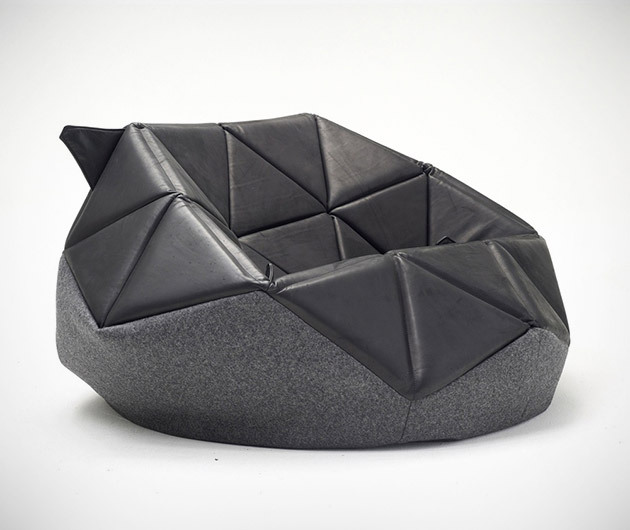 Forged using triangular sections for a rigid appearance, the Marie Bean Bag Chair is still as soft, moveable and comfortable as the originals and an award-winning piece of furniture to boot.